When life hands you scraps… make klosjes! 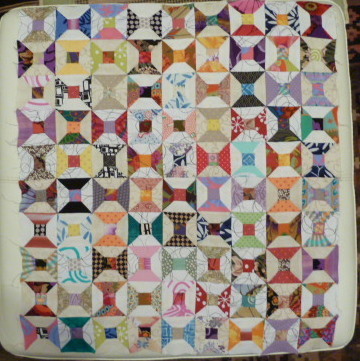 I’ve sewn 90 of the blocks together so far. That’s 450 pieces of fabric and countless seams but I like the look of it. I’ve got a cold at the moment and feeling somewhat under the weather but all these bright colours cheer me up. So in between sneezing and wheezing I’m back sewing klosjes again. It’s wonderful. I can see why it makes you feel better. Started some with a jelly roll but called them cotton reels. Must find them. They look good. It’s wonderful! Keep going! 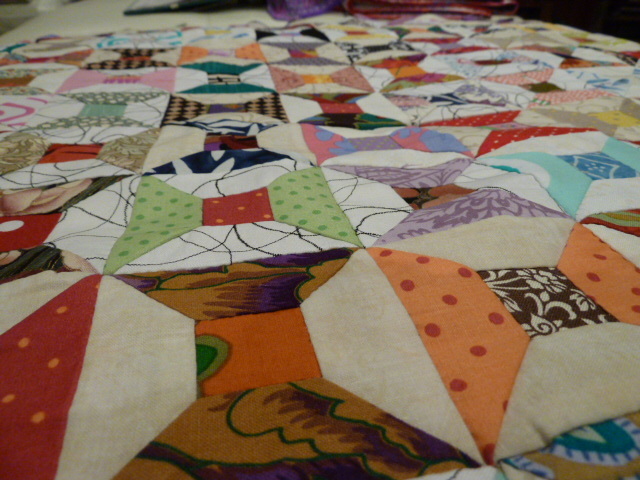 If you continue to use scraps from other projects, you’ll have a historical record of your work. I hope you feel better soon. The change of seasons seems to be taking a toll on everyone. LOVE IT! The colours are just gorgeous. Great job Muniaba – thanks so much for sharing your work with us.